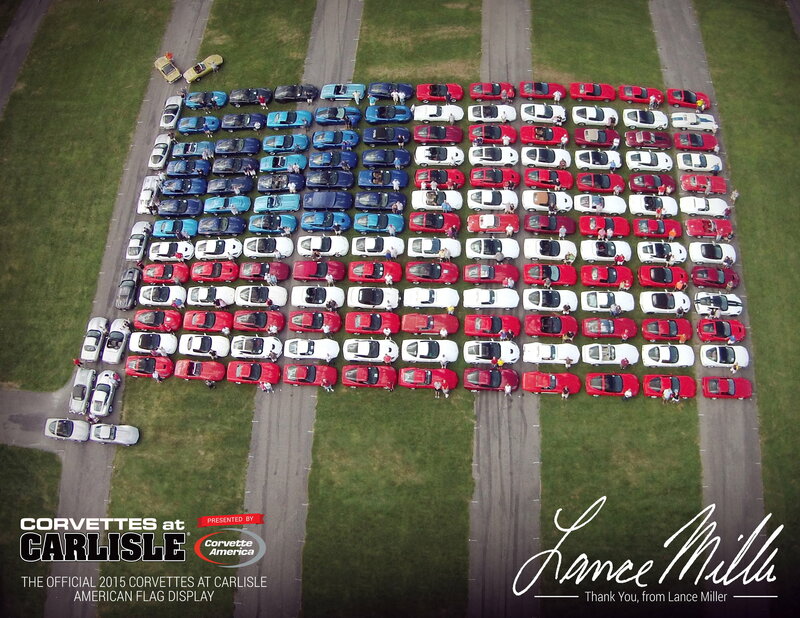 The largest Corvette event in the world is 2 weeks away in Carlisle, PA. So who’s going, what are your plans, what events are you doing, etc...Who knows, maybe we’ll bump into each other. I’m doing the Corvette American Flag & also the parade on Saturday, maybe get an exhaust system installed on the GS. Going on Thursday.. Staying in Harrisburg. Great restaurant called Rock Bass inn. Great seafood and steaks. Friday is the all day shopping spree. Looking forward to meeting Jersey from Apsis USA, the folks at RPI and others. Staying at the Raddison Camp hill with an entertaining bunch. Have to try that Rock Bass inn. I’m looking forward to the shopping spree also Bruno06, I love buying my mistresses presents & the wife doesn’t even get jealous! For those that haven’t gone, it’s really something to see a whole town taken over by a model of a car. Nothing but Vettes from Friday to Sunday, 50,000+ of them! There’s has to be more people going from the forum, where are you guys? I’m going Friday & Saturday. No events planned just trying to see as many vendors and cars as possible. Going Fri, thinking of doing the autocross but I said that last year and didn't do it. I’ll be there Saturday as long as it doesn’t rain. This is not my first time to Carlisle, but my first time to Corvettes at Carlisle. I'm only going to be there on Saturday. Not sure what to expect yet. Haven't decided if I should register for the show or just park and wander around. Bringing the Corvette, either way. I have gone for several years now. Stay at the same place in Carlisle. Just pure smiling fun. Enjoy seminars and talking to all. All need to go at least one time ! This is just out of pure curiosity, are there vendors there like Corvette mods, Maryland speed, and numerous others who basically screwed they're entire customer base? They've been banned from the forum for a reason do you think they have the ***** to set up a tent their? Maryland Speed and Corvette Mods are not listed among the Vendors that will be attending. I don't recall ever seeing them there. Some of the more reputable vendors that we are familiar with are there.. I've been going for years. Staying in Carlisle. Looking for excuses to spend money but disappointed that over the years the vendors don't bring much with them anymore. Also most of them have only current model C7 stuff. Don't wanna park on the hill but I'm not a morning person. We should have some sort of ID for the dash or windshield to show we're forum members with our user name on it. Be nice to say hello in person! I’ll be checking in the motel in Carlisle Wednesday afternoon. Been going since 1989. Leaving to visit friends on Saturday. Will be at the Eastern Shore Corvette Club tent so stop by. It would be cool if there was a Corvette Forums Coral or designated section that we could have! Anyone going from the cincinnati ohio area? I will also be in the flag display, with my Supersonic Blue 2012. I was in the blue part of the flag in 2015 with my 68 - sold last year. Should be a lot of 68s around this year because it is the 50th anniversary of that model year. Staying in Chambersburg PA so we are having dinner at the Copper Kettle Friday night. My 68 convertible (top down), with me and my wife at the front, 3rd row from the top, first car on the left.